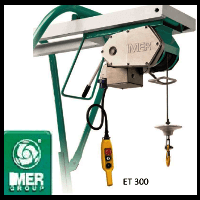 The Imer group began in 1962 in Italy where it still has its head offices today. Imer manufactures products mainly for the construction industry, to enable building companies to carry out many of their tasks with high efficiency. Load and material handling are major tasks on construction sites and so need specific quality, robust and reliable equipment to carry out tasks such as moving materials to high levels; this is easily achieved with an Imer scaffold hoist and accessories. 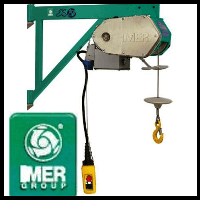 Imer manufacture a range of powered lifting equipment such as gantry hoists and scaffold hoists which are commonly seen on building sites around the globe, in conjunction with the range of accessories, Imer hoists offer great versatility for lifting materials on any construction site. Imer has more recently expanded and now has factories around the world, including the USA, Shanghai, Singapore, France, Spain, as well as the far and Middle East.